Contemplating an upgrade to cutting-edge Intel Skylake? Then we have just the competition for you! 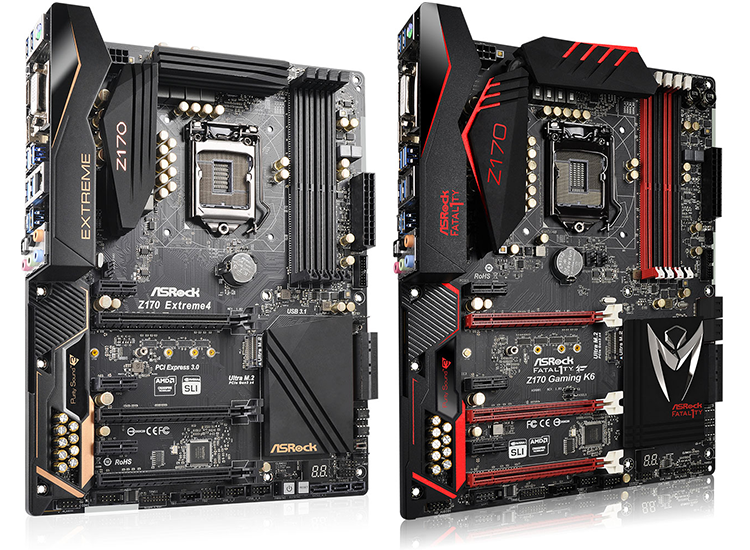 To help get you on your way, HEXUS has teamed up with ASRock to give you the chance to win one of two high-end Z170 motherboards. For our grand prize we have the awesome Fatal1ty Z170 Gaming K6, a mean-looking board touting true gaming credentials and fetching £140 at retail! And that's not all, as our runner-up will bag a stylish Z170 Extreme 4 worth £115. Two incredible pieces of hardware, and all you need to do to enter this fantastic competition is answer the following simple question. And don't forget, you can also claim a free second entry via Facebook to increase your chances! The competition winner will be picked at random from all eligible entries that arrive by midnight of the closing date, October 18, 2015. The winners will be notified via email by October 24, 2015. The winner must claim their prize within 7 days of the promoter sending notification. If the prize is unclaimed after this time, HEXUS reserves the right to offer the unclaimed prize to a substitute winner selected in accordance with these rules. First prize is an ASRock Fatal1ty Z170 Gaming K6 motherboard. Second prize is an ASRock Z170 Extreme 4 motherboard. Nice prizes, many thanks Hexus and Asrock. Great competition, but I do not like being redirected to Facebook after entering. Okay, this time has to be my time. Never had a ASRock motherboard. This would be a perfect way to test one out with the new intel chip. My gaming tower case has a Z87, i7 3770K and a water cooled reference BF4 290x, so it would be a great excuse to finally upgrade it. Thanks Hexus for the great competitions.